Heating breakdowns can often be avoided with a heating tune up. But unfortunately, many Orange County homeowners find themselves suddenly in need of extensive heating repairs during the coldest parts of winter, when they need their heater the most. There are many advantages to having a heating tune up done just before the cold season. This preventative maintenance makes sure your heater is ready to work for you during the winter. Have you ever turned your heater on for the first time and been greeted with the smell of burning? That is because dust and other debris collect on the coils and is burnt off when you finally do turn your system on. This can be very dangerous so one of the first steps we take is to thoroughly clean your heater and then run it to make sure that nothing is amiss. A tune up makes sure that every part of your system is running perfectly and will save you money in the long run. It’s easy to overlook annual heating tune ups, but the reality is that these services can save you quite a bit of money in the long run. A certified HVAC technician will be able to pinpoint potential problems early on during the heating tune up process, resolving them before they escalate to the point where major repairs are needed. Here are some reasons why you should definitely schedule heating tune ups and maintenance at least once a year. Heating tune ups can help make sure you and your family stay safe. In some cases, problems with your heater could become a safety hazard. Furnaces heat your Orange County home via combustion, making them a fire hazard if they’re not functioning correctly. With gas heaters, carbon monoxide can become a major risk. By detecting a leak or potential leak early, a heating tune up could even potentially save your life. Improve your home’s energy efficiency. Having a professional clean and inspect your heater can help keep it running at optimal efficiency, ultimately saving money on your heating bills. Reduce the need for potentially costly repairs. Many routine heating problems could have easily been prevented if the homeowners had invested in regular maintenance. Don’t wait until something goes wrong—call today about a heating tune up to spare yourself the hassle of needing repairs. Keep your manufacturer’s warranty valid. Some manufacturers will void your warranty if your heater hasn’t been maintained properly on a regular basis. Help your heater last longer. 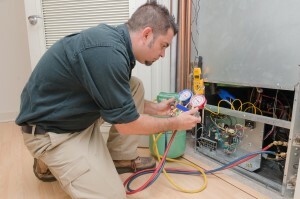 A well-maintained heater will keep running for much longer than one that’s been perpetually neglected. A furnace replacement can cost over $3,000, so maintenance is worth the investment. What Does A Heating Tune Up Actually Involve? By having these simple checks from an expert on an annual basis, Orange County homeowners can easily save thousands on repairs and furnace replacement. A heating tune up is a smart investment that shouldn't be brushed aside. You can find reliable Orange County heating tune ups and other heating services at Perfect Comfort. Before the cold winter weather catches you unprepared, give our heating experts a call for your annual heating tune-ups and repair. The professional team at Perfect Comfort will get your heating system up and running like new before you have a chance to suffer the cold weather. Keeping your system regularly maintained will limit the chances of it breaking down when you need it the most. If you would like to learn more about Heating Tune Ups in Orange County, please call Perfect Comfort at (845) 497-1005 or complete our online request form. If you are looking for a Hudson Valley Heating Repairs Contractor please call us at (845) 497-1005 or complete our online request form.